Will you be ready when web 3.0 hits? The recent explosion in popularity for Bitcoin and other cryptocurrencies has shown us the future is unlikely to take place within the walled gardens of Facebook, Google, Amazon, or any other tech monopoly ruling today. It’s becoming increasingly obvious that the next generation of the internet will take place in a decentralized web 3.0 environment. This will be a place where competition is so fierce, it’s unlikely the monopolies today will be able to defend their market share Web 3.0 will empower users; resulting in a massive internet-wide culture shift, finally marking the end of a stagnant web 2.0 era. The transition away from centralized social media has already begun. Consumers are shifting their attention away from crowded platforms into smaller, more personal means of communications with their peers. The rise of messaging apps is the most obvious example of this. Messaging apps have surpassed social networks: the top four messaging apps (Messenger, WhatsApp, WeChat, and Viber) have more monthly users than the top four social networking app (Facebook, Twitter, Instagram and Google+). Not all messaging apps are created equal. WeChat has found a way to deeply integrate itself within the daily activities of Chinese users. Over 90% of WeChat users use the app’s payment functionality to send money between peers and pay for everyday expenses. WeChat is an example of the utility a full-featured messaging app can provide. Unfortunately, WeChat remains a closed-source proprietary app subject to the decisions made by a single private entity. Vibeo is a decentralized web 3.0 take on WeChat: a complete instant messaging app powered by the Ethereum blockchain. Users of Vibeo will be able to send and receive tokens from any ERC-20 wallet, including popular options like MyEtherWallet and MyCrypto, all within the app itself. Eventually, Vibeo plans to make special agreements with merchants, enabling users to exchange ETH for real world good and services within their messaging platform. Vibeo already has a live app available for both Android and iPhone where users are able to test out the basic feel of the interface, but the cornerstone features aren’t quite available yet. Vibeo 2.0, planned for a September 2018 launch, is where the app will make it’s real debut. In addition to the ability to send ERC-20 tokens, Vibeo will also boast a trip tracking feature; enabling users to follow their friend’s live location, a detailed map showcasing local points of interest, and a timeline to keep you updated on your friend’s latest happenings. 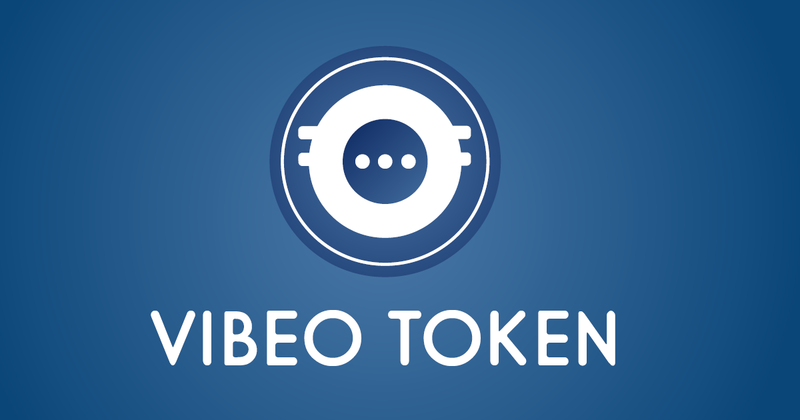 Vibeo’s VBEO token will be used as a payment method for merchants to get their services listed on Vibeo’s interactive map. The funds raised via the VBEO token sale will be used as a grant to enable the company’s development of the application, establishment of key partnerships, operations, marketing, and customer acquisition. The VBEO pre-sale kicks off on March 19th, and features a 35% token bonus for those who participate. Find out more information on how you can get involved at the official Vibeo website here.